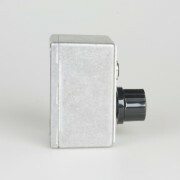 Coin cell powered contact mic/piezo pre-amplifier for use with field recorders and mobile phones. 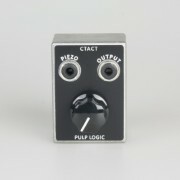 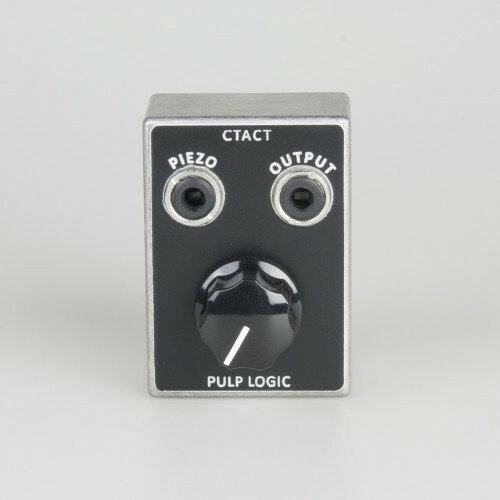 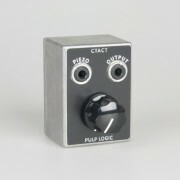 CTACT Box is a rugged, stand alone, battery powered pre-amplifier for piezo-based contact microphones. 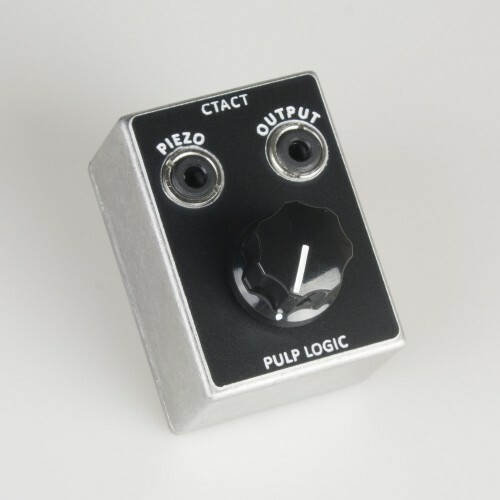 The piezo input features a very high input impedance to reduce loading the sensor and to maintain a wide frequency response. 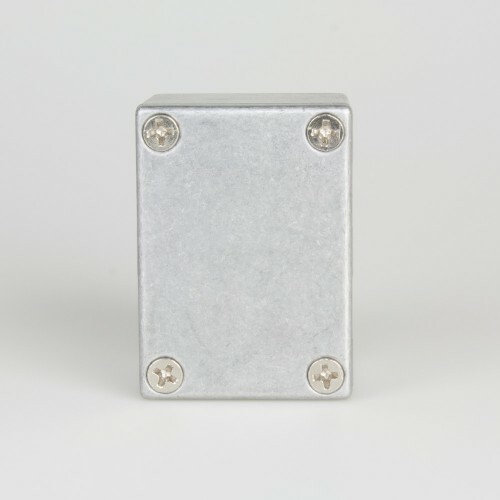 The box is powered when a standard 3.5mm TS cable is inserted into the Piezo jack. 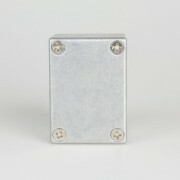 In order to conserve the battery, unplug the Piezo cable when not in use. 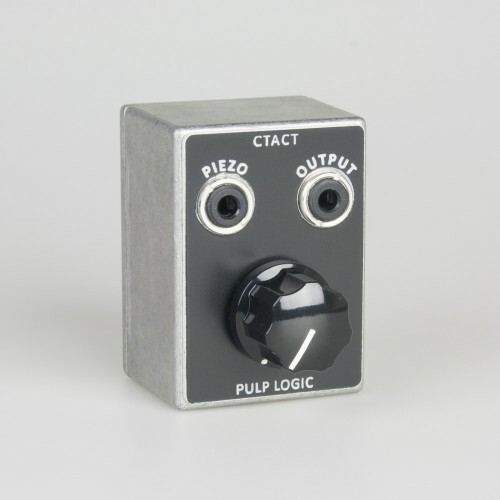 The CTACT Box comes with 5 Piezo discs for you to start experimenting.